Double glazing and PVCu windows in Taunton & Wellington, Somerset. 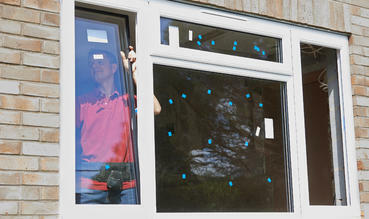 Weatherbeater Contractors Ltd are one of Somerset's most trusted providers of double glazed windows and doors. With over 25 years experience in the trade, our tradesmen provide the highest quality services to homes and businesses in Taunton and Wellington as well as to the surrounding towns and villages. 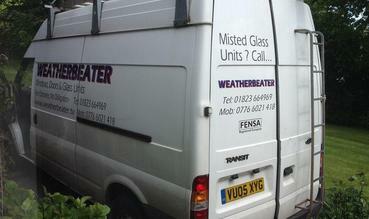 Weatherbeater specialise in PVCu double glazed windows, doors and glass units. We also provide the associated building and maintenance work for properties to ensure smooth project management and a superior fit and finish. At Weatherbeater we regularly carry out both private and commercial contract work. We are passionate about providing you with the highest quality finish and best value for money. All of our work is bespoke to match your needs. Owing to the fact that we are a local, independent installer, without a network of expensive showrooms and offices, Weatherbeater offer the most competitive prices by keeping our costs low. We are proud to have carried out contract and maintenance work for the Ministry of Defence, local county councils, schools, colleges, children homes and lots of private homes across Somerset and Devon. Feel free to ask for testimonials of our work and your can see some examples on our services pages. Weatherbeater is a FENSA registered company (24841) so all PVCu double glazing work carried out has a ten-year insurance-backed guarantee. Rest assured that all of your building work will be carried out by fully qualified tradesman with all of the necessary insurance. Contact Weatherbeater for a free no-obligation quote & quality assurance today. Use the contact page or call us on 01823 664969. 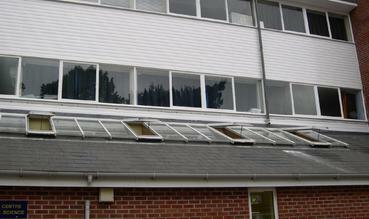 Energy efficient, cost saving double glazing for your home or business premises. Our double glazing that is fully compliant with the latest FENSA and building regulations. Replacement glass units. We provide a large range of double glazed units weather you choose clear or obscure, or energy efficient or safety glass. As we only employ qualified tradesmen, we offer a quality job at an affordable price & will carry out any building maintenance work. Weatherbeater Windows - supplying quality work over both Somerset & Devon for over 10 years. We operate all around the southwest including: Wellington, Taunton, Milverton, Wiveliscombe, Bishops Lydeard, North Petherton, Bridgwater, somerset, Hemyock, Dunkeswell, Uffculme, Cullompton, Willand, Tiverton, Devon.